Do not be afraid! I’m a friendly goblin, here to teach you my tricks to making and saving money every day. 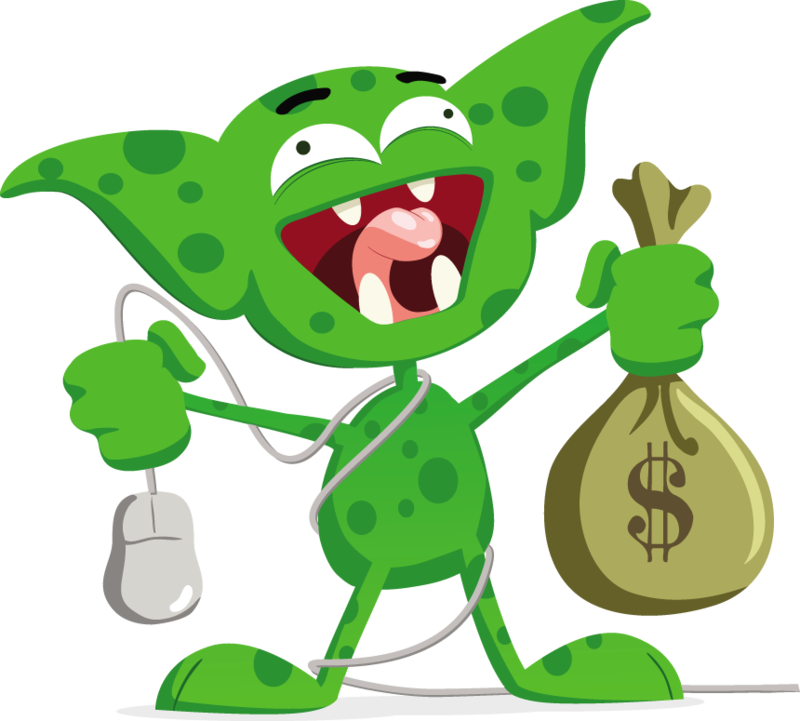 I may be a goblin, but I can still get paid for taking surveys. And so can you. When you sign up, I’ll email you the best paid surveys and online focus groups paying up to $500. If you're like me, you’re always surfing the web, watching videos, or playing games. Sign up and I'll teach how to earn for doing what you already do. Save money on your bills. I'll show you how to shop and get paid for it. You’ll learn how to get discounts on groceries, lower your monthly smartphone bill, and so much more.